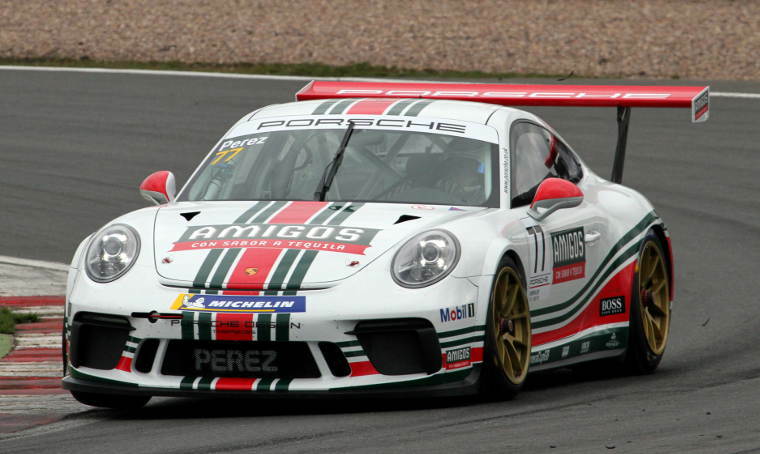 Chesterfield’s Seb Perez started the first two races of the season in the Porsche Carrera Cup GB as he means to go on marking his first Carrera Cup GB podium during an action packed opening weekend at Brands Hatch. After some sensational test results in the Amigos Redline Racing Porsche Type 991 911 GT3 car over the last month the weekend paid off for the 19 year old Derbyshire racer. 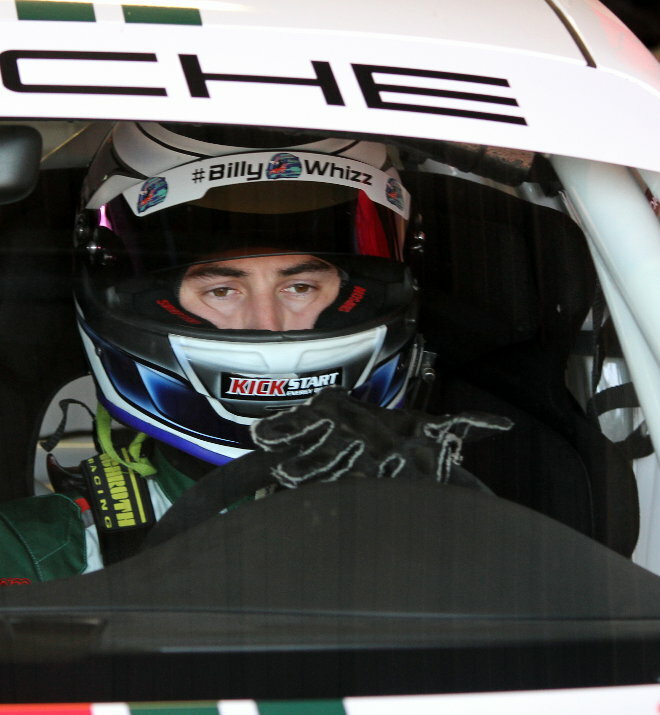 Perez competing in the Pro category and in his second season in the Porsche alongside his team mate Nottinghamshire’s George Gamble in the sister Amigos Racing supercar showed how to do it, Perez took 3rd place in race one televised live on ITV 4 and saw Gamble take a podium first place in the second race on Sunday. Perez goes to Donington 4th in the Pro category of the championship with 13 points, Amigo Redline Racing are first in the Team Championship with 64 points in the bag.